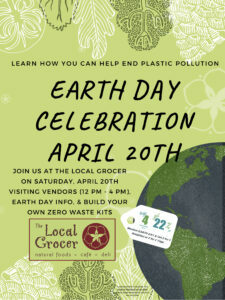 Join the Local Grocer for our Earth Celebration on April 20th. We will be featuring a Zero Waste Table loaded with sustainable materials to help everyone on the path to plastic pollution elimination. 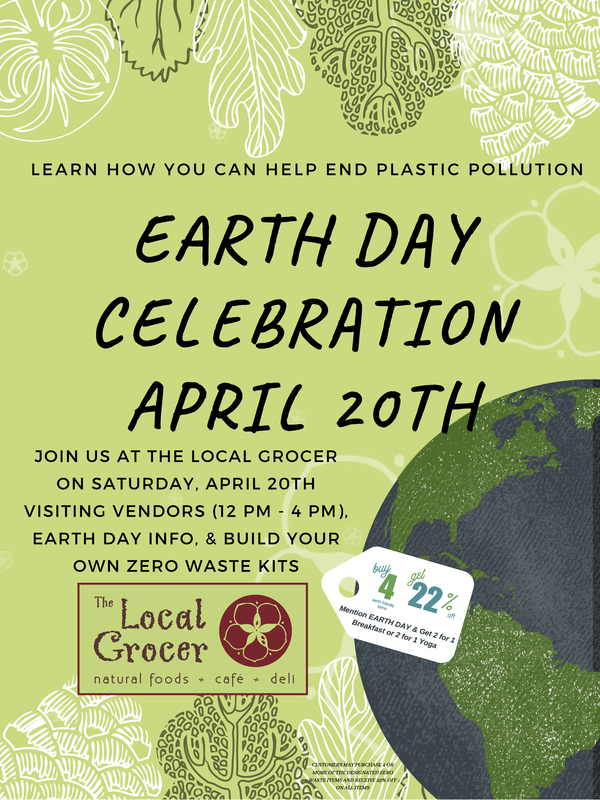 We will have visiting vendors and a few special treats for everyone to celebrate our Earth! Meet & Greet with Marianne Williamson – April 16th Local Grocer Promotions!